The robot applications include a simply holder arm, some links, an actuating system and a control unit. The signals, which are given by a computerized control unit, are sent to the actuated (These are servo engines in general) organs and so the arm movement, which has been determined the function area in the coordination system is supported. The robots are generally used in the difficult working conditions (heat, length, high sensitivity, speed and etc.). 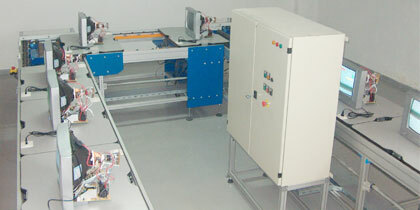 The Kontek Engineering, which has been experienced with the industrial automation systems in addition to robot applications, makes the automation installations of systems, which have been produced and designed.